This blog is focusing on the first stage — how to develop a website strategy. 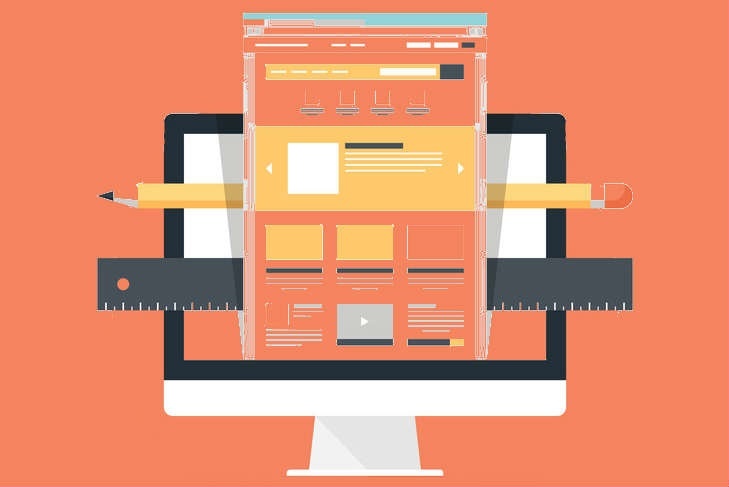 which is the most important, but often most overlooked part of the website design process. The strategy will make or break a development project as it forms the foundation of all the activities and tasks involved in the whole process. Forming a solid strategy allows you to move onto the next stages of the Growth-Driven Design process safe in the knowledge that your focus is on the important aspects, rather than spending time and effort in areas that aren’t as important, that aren’t going to work well or enable you to hit your goals. Creating a user journey map. Here we want to develop a clear understanding of the business objectives that the website needs to achieve, and set up some targets around this. Start with the overall high level objectives of the business. For example, a target of £2m turnover for the financial year and an increase in the customer lifetime value upto £30,000. Once this is defined we can drill down further and look at the goals of the sales department, as well as how this fits into the company objectives. For example, what close rates are they aiming for and what is the average order value that they are targeting? We can then calculate the number of customers needed in order to hit the company goal. Then, look at the marketing department’s goals, such as the number of marketing or sales qualified leads and the cost of customer acquisition. Once we’ve established the above we can figure out where exactly the website fits into supporting the achievement of these goals. For example, if the website is responsible for producing leads, how many are needed? What’s the site’s conversion rate goal and from here, what’s the amount of traffic needed in order to achieve this? If the company has a goal of £2m turnover in 2017, the sales team’s goal could be to generate 100 customer with an average order value of £20,000. If they know that they generate 50% of their target by their own pro-active efforts, for example through networking or exhibitions, then they need the other 50% to be generated by leads provided by marketing. If they have a target sales qualified lead-to-conversion rate of 10%, then they need to receive 500 sales qualified leads from the marketing department. If marketing’s goal is to provide 500 sales qualified leads and they know that the conversion from marketing qualified leads to sales qualified lead is 50%, then they know that they need to generate 1000 mqls. In order to establish what the goals should be, it’s often useful to look at the current state of play and target reasonable and realistic increments. Buyer personas are a vital element of every aspect of your marketing. When you are creating your marketing message it should always be aimed at your personas. Here’s a blog that tells you more about about what personas are, why they’re important and how to go about creating them. Once you’ve scoped out the website goals and defined your personas, the next stage is to make fundamental assumptions. The aim of the section is to boil down both the business and the website into their core elements. These core elements will be the foundations we’re going to use in building the website going forward. We start with one of the personas and document the problems they have (relevant to your company) and the possible solutions. Note that this doesn’t mean we list out your product or services yet, but we’re thinking about the outcomes of the solution. This is very focused on the users and their points of pain. The unique value proposition is a bulleted list of three or four things that correlates with your target persona’s problems, with the aim of encouraging the visitor to find out more. We also want to consider this alongside your competitors and what they’re offering to ensure your company stands out as the one most suitable for providing that solution. From there, we want to consider what existing alternatives there are for the reader. This centres on what other solutions they could research in order to solve their issue. This could be a simple list of competitors, or different types of solution. For example, if you are a gym owner and your persona want’s to lose weight, their alternatives could be other gyms,diet plans or personal trainers. Let’s look at the website’s metrics for success. Here we refer back to the goals we set and look at the key metrics the website must achieve in order to move towards the goals. What information and messaging is required on the site to solve the persona’s problems? What are the key triggers that caused the persona to visit the website? What value will they find on the site that solves their point of pain? What are the repeat visit triggers? What will cause them to come back to the site many times? Once you’ve documented your fundamental assumptions, you will then need to validate those assumptions by conducting some user research. The goal here is to create a holistic view of your persona’s lives, before, during and after contact with your company. This information helps you think about how your website weaves into their lives and how you can make a positive impact on them in areas that you may not have thought about previously. Remember, only a small portion of people that visit your website at any one time are in a position to buy, the rest are researching their problems or looking for solutions. I’ve written a blog which explains the buyer’s journey in some detail. Once you understand how the buyer’s journey relates to your persona, and what thoughts/emotions and actions they experiences whilst going through the journey, you can come up with ideas for website features that help them whilst they research or make decisions. It’s easy to make assumptions based upon what you think you know about your personas and what they want or need, but sometimes you’re too involved in the business and your ideas may not be 100% accurate. Therefore it’s important to conduct user research first so that you don’t waste time and resources focusing on ideas which may not have the mostimpact on your user. There’s a number of tools you can use to research your users and their behaviours, but there’s nothing better than live feedback from either your existing or former customers. Run your assumptions past them in order to make sure that they reflect reality. Here’s a great blog on how to structure interviews with your users. Now we’ve run through all of the other sites, now’s the time to start putting together the feature list for the launchpad website. The aim of this stage is to launch the site quickly — usually within 45-60 days whilst maintaining a balance between speed of delivery and high impact, high quality. Create a wish list of ideas during a brainstorming session. We need to allow creativity to flow but still be focused on all of the areas mentioned above. For example, will the features help achieve the goals? Will they deliver value to the persona? Do they meet the fundamental assumptions and assist the user in their journey? At the end of the session you should have a giant wish list of ideas that, in an ideal world with unlimited budget and resource, would be implemented on your new site. There may be one to two hundred items on this list. Then we do a second filter and ask: ‘Are these items nice to have or must have for the launch of the site?’ For example, what could we do without? The latter items are then put back to the top of the wishlist and you’re left with the imperative features that must be in place when the site launches. You’re now in a position to pass the wishlist of items to your developers so they can make a start with the launchpad website and build the minimal viable product. Once done, you can start gathering data and plan in the additional features into your workstack.